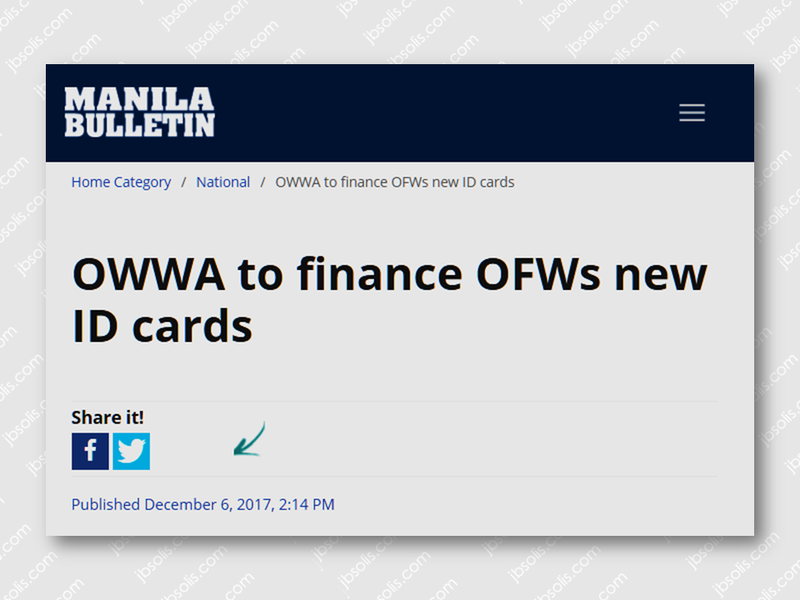 A big budget chunk amounting to P50 million has been allocated by the Overseas Workers Welfare Administration (OWWA) for the printing of the OFW ID card. In an interview, Silvestre Bello III, Labor and Employment Secretary and chairman of the OWWA Board of Trustees, disclosed they made the decision through the issuance of a board resolution last week after considering other sources of funding for the project. 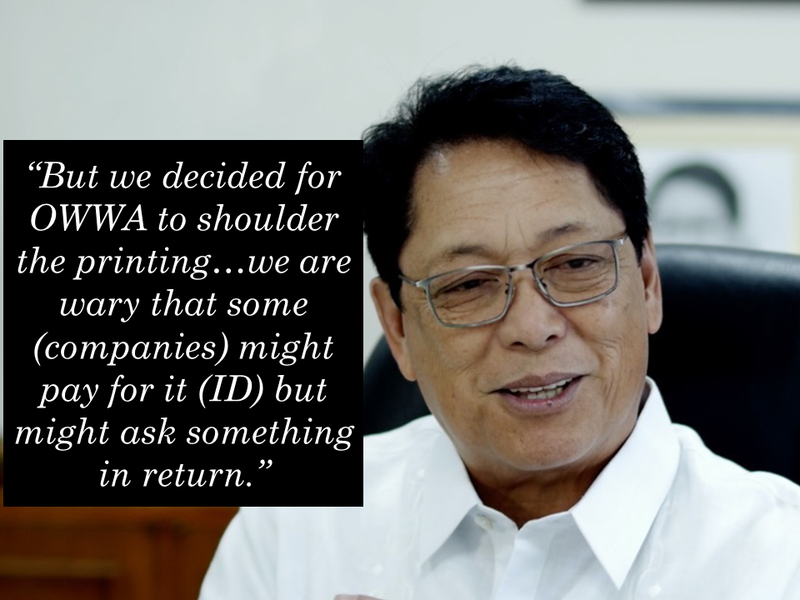 Bello noted there were some companies, which volunteered to pay for the printing of the ID. Aside from private companies, DOLE earlier said they are also looking at private recruiters and foreign employers to pay for the OFW ID. DOLE later scrapped the proposal due to opposition from the recruitment industry. 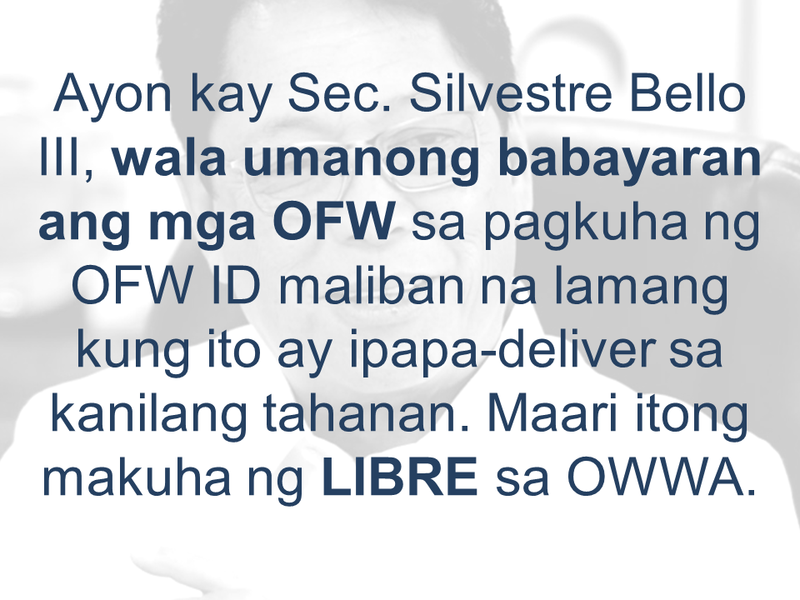 Bello stressed the OFW ID will remain free for its intended beneficiaries except if they would want it delivered to their homes. “If they would want it delivered, they would have to pay for the delivery cost. Otherwise they could claim in OWWA,” Bello said. DOLE earlier said it is targeting to start the printing and distribution of the OFW ID this week in time for the return of OFWs for the Christmas holidays. However, DOLE was unable to meet its tentative deadline for the release of the OFW ID, which was supposed to be on Wednesday, due to the delay in the release of its guidelines. Labor undersecretary Bernard Olalia earlier said they are still waiting for the Department of Foreign Affairs (DFA) to sign the necessary memorandum of agreement (MOA) before they could issue the guidelines. The guidelines will contain the issuance and application process for the OFW ID. 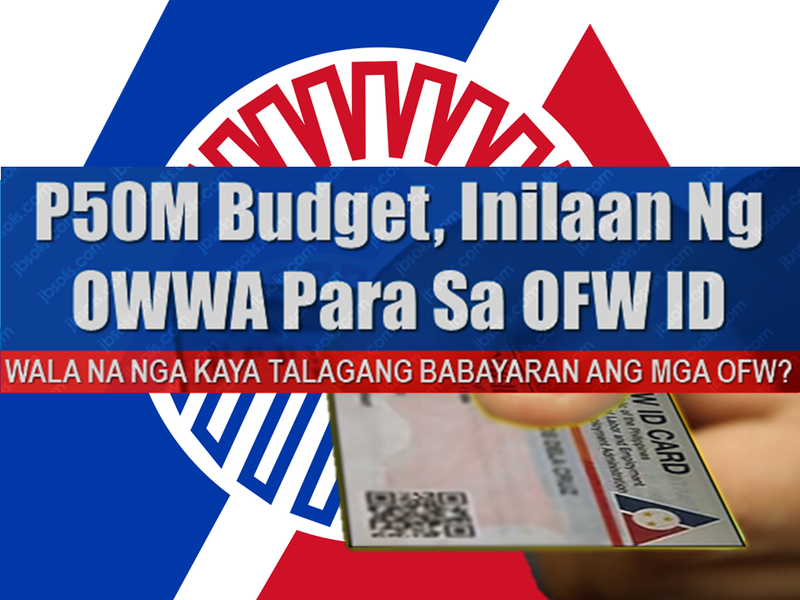 The OFW ID will allow OFWs to use the integrated DOLE System or iDOLE systems to help ease their deployment processing.